Mark Abadi is a Holistic Therapist, Public Speaker, Life Coach, Therapist and Author working with health and well-being from a multi-disciplinary perspective. 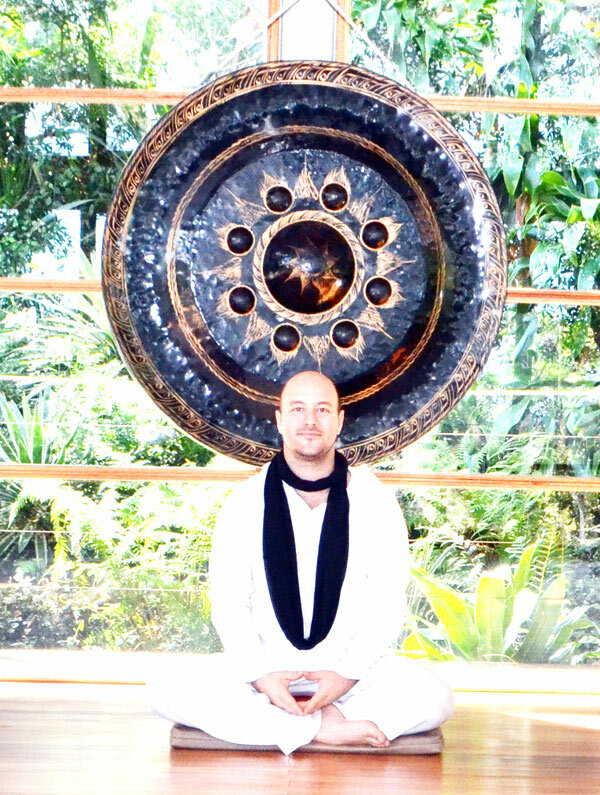 After a chance meeting with a spiritual teacher at age 15, Mark began his inner exploration through meditation and philosophical investigation. Twenty years later, he now teaches advanced meditation across the globe, offers individual personal development sessions, and writes on the subject of Science, Spirituality and Self. While completing two Degrees, BSc in Psychology and a Masters in Occupational Health Psychology in Great Britain, he observed a gap in the curriculum, the holistic nature of being was missing. Applying research techniques he dove into the study of complementary holistic therapy techniques, including reflexology, nutrition, aromatherapy and deep tissue massage. He later went on to work with energy field scanning machines, and spent 10 years researching the interactive nature of the body’s energy systems. He is an expert in the interaction of the mind, body matrix and at maximising change through a multileveled therapy practice. With a great interest in how space resonates with Human health, happiness and wellbeing. Along the way he realised his ability to disseminate intricate theory in a fun, entertaining and creative way. He was a born performer, making the complex simple and exciting. His passion for the truth and reality comes through in his live performances and now his writings. Having lectured at international conferences on energy medicine and holistic integrated health, he was invited to host several conferences and teach on the new module in Energy Medicine, part of the Masters in Wellness at RMIT University in Australia. Mark also developed a unique integrative holistic platform called Psychapressure, providing space for people to shift their non-serving habit patterns. This is an interactive journey into the person’s pain to allow them to ‘burn in the fires of change’. Its principles include: there is nothing to fix, simple self acceptance, honoring your emotions and surrendering to the truth of who you are. You can find out more about this on his main site www.psychapressure.com. Teaching on a Masters of Wellness degree in The Royal Melbourne Institute of Technology, Australia. Researching at India’s MIT, Pune. Devising and delivering training courses on energy field assessment technology with the Centre for Biofield Science (www.biofieldsciences.com). Offering individual clients a chance to shift through psychapressure in UK, USA, South Africa, India and South East Asia. Designing and implementing research into the effects of complementary medicine on mental health, notably with the Singapore government group ‘The Sathya Sai Foundation for the Mentally Challenged Men’. Delivery of research systems, workshops, training and key note lectures on the integration of health and well being to MDs physicians, therapists and organisations (ACPEM, ACEP, IMUNE, ISR & CPS). Trained doctors in implementing pioneering preventative healthcare regimes in India at Delhi’s, Sir Ganga Ram Hospital (SGRH). Holding health camps, seeing hundreds of clients daily.